There are many reasons you don’t want to buy laundry soap. Apart from it being ridiculously expensive, we all know they contain ingredients which cause harm to the ecosystem. But who wants smelly, dirty clothes? Even homesteaders like us want to put on clean, fresh smelling shirts after a long days work. Luckily, though, we have found a DIY liquid laundry soap recipe that will save you the trip down the detergent soap aisle. This homemade laundry detergent recipe is easy and very inexpensive to make, plus you avoid the chemicals of conventional detergents and the extra budget-denting expense. Keep reading to get the full tutorial or read the original article here. 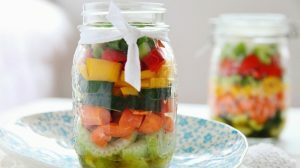 You’ll also need a container to store your laundry soap in (a recycled water gallon would suffice), something to stir it (like a paint stirrer), a five gallon bucket, and a pot. Melt the grated Fels Naptha soap in 3 cups of water on medium heat. 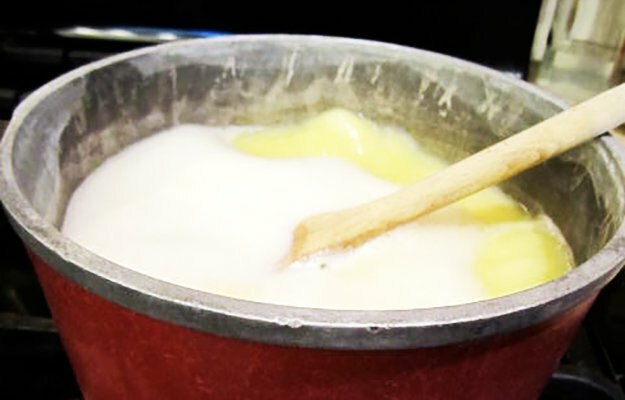 Bring to a simmer until all of the soap is completely melted. Warning: Do not let this boil or it will bubble over! Add the Borax and washing soda once the soap is completely melted. Wait for about a minute or two or until both are completely dissolved. 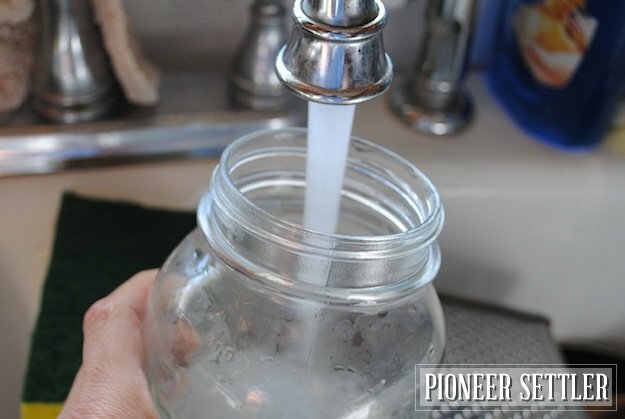 Pour in 3 gallons of water in a 5 gallon bucket. Pour in your melted soap mixture and stir it up vigorously. Let the soap sit for 24 hours, preferably with a lid on it. After 24 hours, check your soap mixture. You’ll find it set up a little bit. Just stir it up a bit and it’s ready to be used. 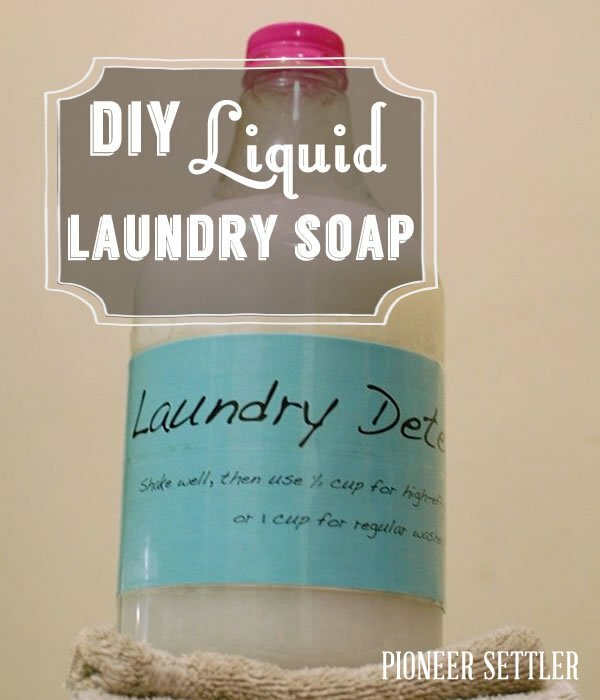 You can store you homemade liquid laundry soap in recycled gallons or water bottles. Use about as much as you would with a store bought soap. The soap mixture tends to settle so shake well before use. How well did your homemade laundry detergent work? Tell us in the comments section below. Looking for more homemade products? Check out these 31 solutions! I work at a Dry Cleaners who offer a “by the LB.” laundry service. I made some of this amazing soap. We WILL be making more and using it. Save so much money, we can pass it on to our customers. (and it smells sooooo good.) My sister discribed it perfectly….. Like clothes hangin’ out on the line in the sunshine all day.! AND IT DOES!! Thank you soooo much for this amazing soap recipe!! making it now and its going great. smells great too. Someone told me they put some fabric softner in their mixture.